One of the challenges with online mathematics platforms is that they commonly tell you that you are right ... or wrong. "No bad thing", you might say, especially if they keep generating new questions for you to have a go at and provide a handy set of marks to send to the teacher. However, one of the problems is that knowing you are right or wrong is only part of the story. Getting your simultaneous equation wrong may be little to do with your misunderstanding of the fundamentals of this part of algebra. Marking The Final Answer Alone Is Too Summative. Rather, maybe you got muddled with negative numbers or made a simple numerical mistake. Marking the final answer alone is too summative. It isn't formative. It doesn't necessarily help you to learn and improve. This was a problem that The Perse School, Cambridge discussed with former Maths teacher and successful online instructor Rob Percival about 18 months back. So, what if there was a system that encouraged you to add working as well as the final answer and marked your working line-by-line as you went along? What if the same system then provided helpful hints or challenged you to correct identified and specified errors in that working? If the same system then had a teacher feedback collation which identified and ranked the most common errors that the class was making or allowed the teacher to drill into the details of the answers being given by an individual student, then this would be remarkable. Platforms like Seneca and Blutick are now filling this gap. An AI Maths System By Maths Teachers For Maths Teachers and Students. As of today, Blutick is in a free beta version, which will have end up with full coverage of the 11 to 16 age range of maths (GCSE / IGCSE). Topic coverage is currently at around a third of the full syllabus. 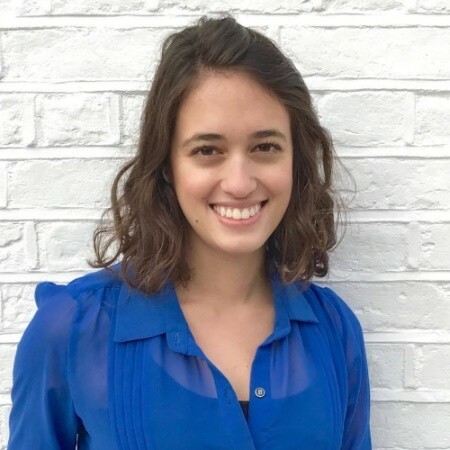 The platform uses artificial intelligence to create a learning tool that gives intelligent, line-by-line feedback, identifies mistakes as they happen and guides students towards solving problems. 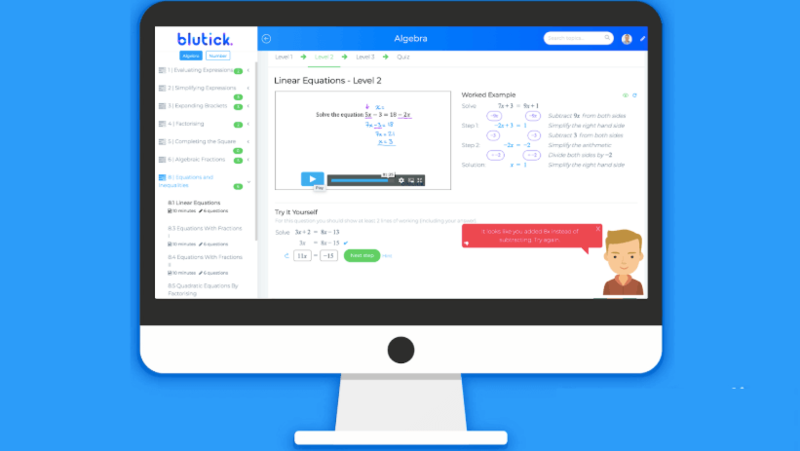 Blutick has highly focused and relevant content developed by some of the country’s leading mathematics teachers in easily digestible 1-3 minute chunks with useful reporting on top of that. At the same time, we've been working hard on creating new HyperLearning courses for Maths. 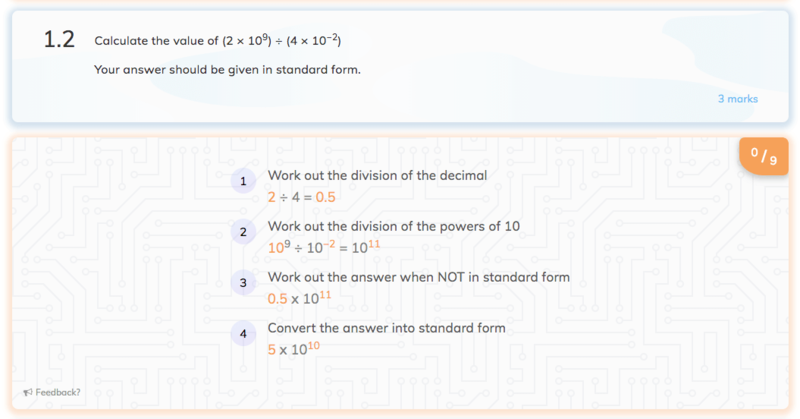 As displayed below, during the paper you'll be steered to solving mathematical questions step-by-step. No longer will you just be marked by the final grade. Instead, you see where you or your student went wrong.... instantly. Within seconds you see the answer flow. Together with our senior examiners and other companies like Blutick we are glad to play a part in bringing Maths education to the next level.